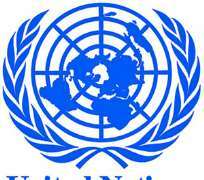 MOGADISHU, Somalia, January 31, 2014/African Press Organization (APO)/ -- The Special Representative of the UN Secretary-General for Somalia, Nicholas Kay, today expressed his concern over escalation of tensions in Baidoa surrounding a federal state-building conference. “It is important that all parties remain calm, committed to dialogue and support reconciliation efforts. I call on the traditional leaders, politicians and all stakeholders to play a constructive and reconciliatory role,” said SRSG Kay. “Nobody should risk taking steps that spoil peace- and state-building processes. I recognise the need for all stakeholders to meet without delay in Baidoa to address the legitimate concerns and aspirations of all parties. UNSOM is working closely with local partners, the Federal Government, IGAD and others to that effect, in order to reinvigorate peaceful talks and reconciliation efforts,” SRSG Kay added.